Slow Cooker Banana Nut Oatmeal starts with steel cut oats that cook overnight, and with this easy recipe for Overnight Slow Cooker Banana Nut Oatmeal you won’t have any excuse to skip breakfast! Breakfast is the most important meal of the day; you know that right? 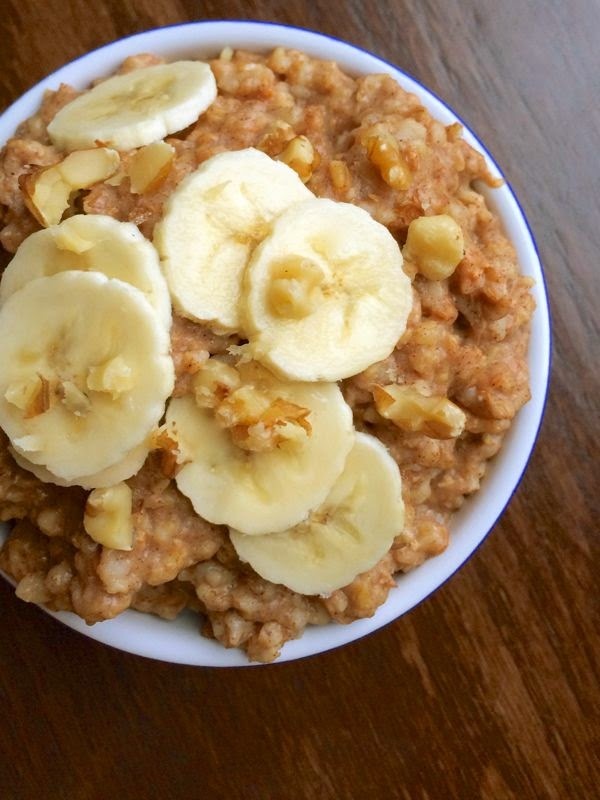 That’s why recipes like this Overnight Slow Cooker Banana Nut Oatmeal from The Lemon Bowl are such a find. This recipe starts with steel cut oats that cook overnight with lots of other healthful ingredients to create a delicious breakfast that’s ready when you wake up. And if you’re having trouble with that healthy breakfast habit, I’m guessing the smell of this cooking in the slow cooker all night just might help you remember to eat when you wake up! Use the Index Page for Breakfast Ideas to see all the Slow Cooker or Pressure Cooker Breakfast Recipes that have been featured on this site. Thank you so much for the feature Kalyn!! One of our favorites! Liz, I can definitely see why! Everything about this sounds great to me. I love the idea of cooking overnight, and having breakfast ready in the morning. Another wonderful thing the slow cooker can do! Lydia, I agree and this would be so perfect for guests.